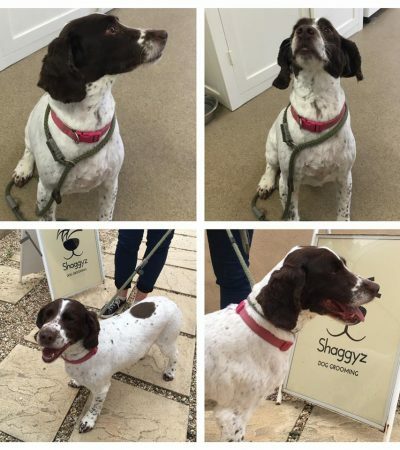 Shaggyz Dog Grooming Salon is located in a quiet corner of the countryside on the outskirts of the Historic Saxon Market town of Bridport, near the Dorset Jurrasic Coast. 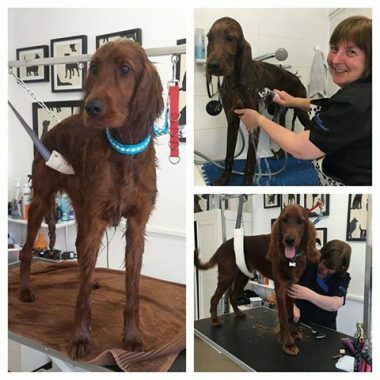 Our salon is modern and clean with a relaxed environment, containing two fully equipped dog grooming stations. 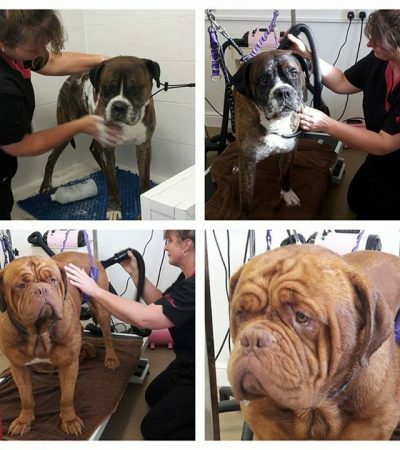 We are professional & caring dog groomers, trained to City & Guilds Level 3. 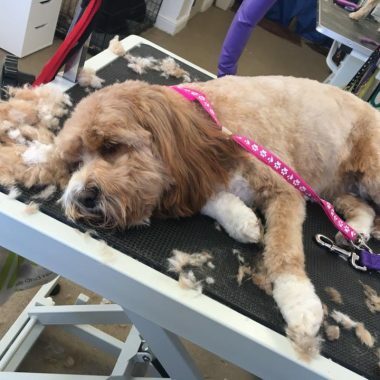 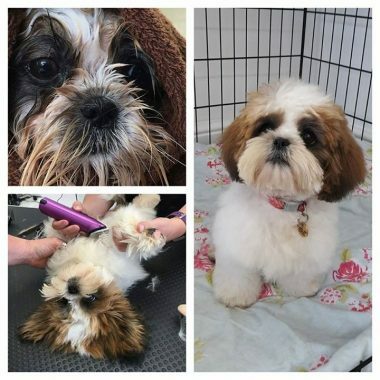 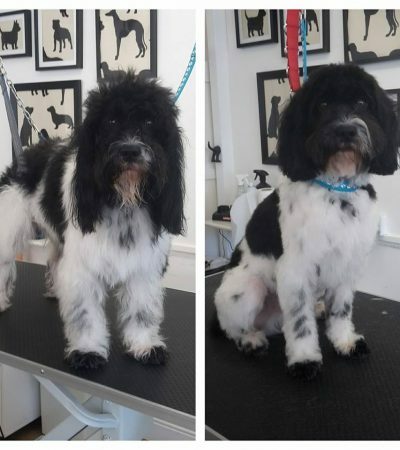 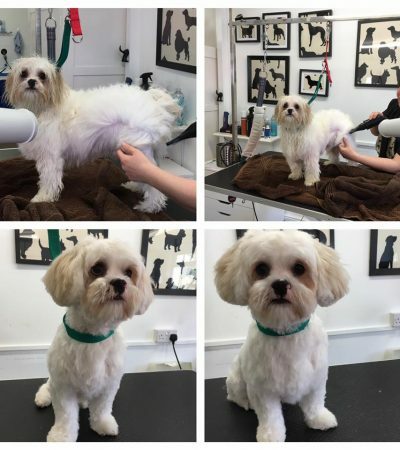 Shaggyz offer a full range of dog grooming services, including tailored grooming sessions, to meet all your requirements. 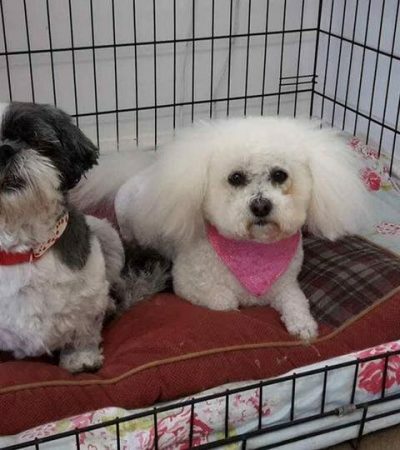 We absolutely adore dogs of all sizes and breeds and cater to all from young puppies to seniors and shy or anxious to the energetic and playful. 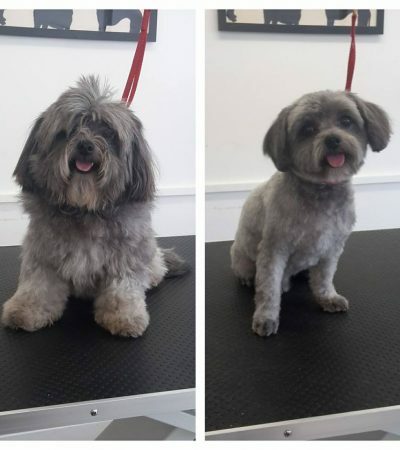 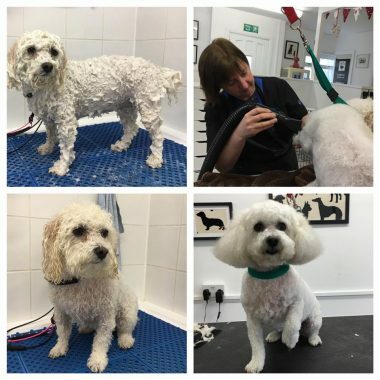 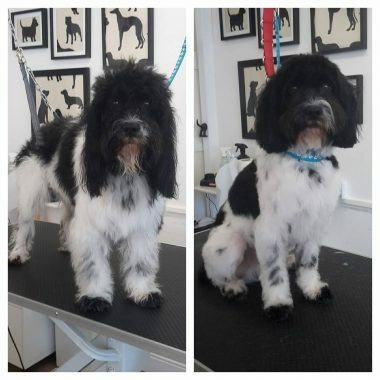 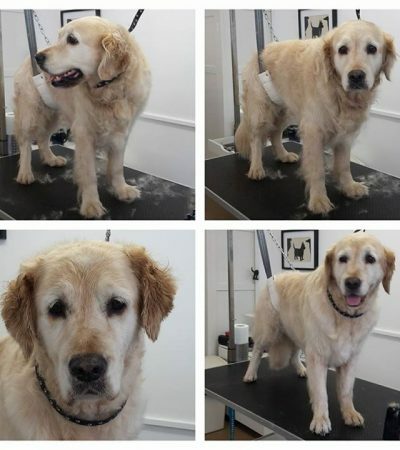 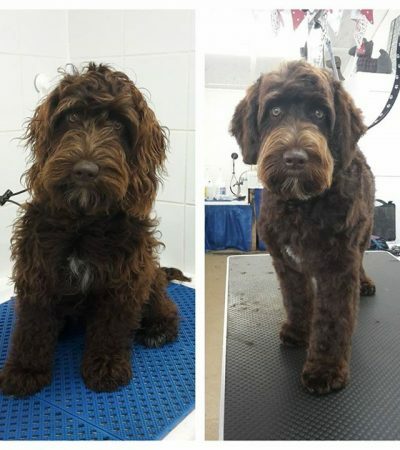 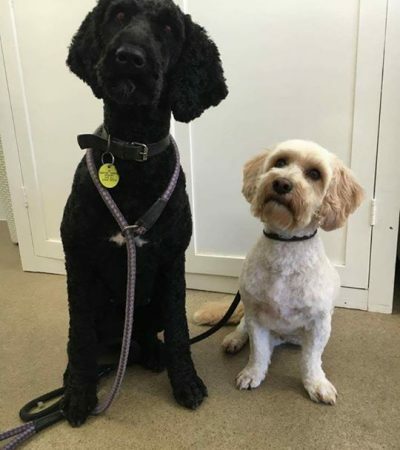 Our focus is on quality care and dog grooming, ensuring your dogs experience of grooming is as positive as possible, rather than boasting of how many dogs we can groom in a day. 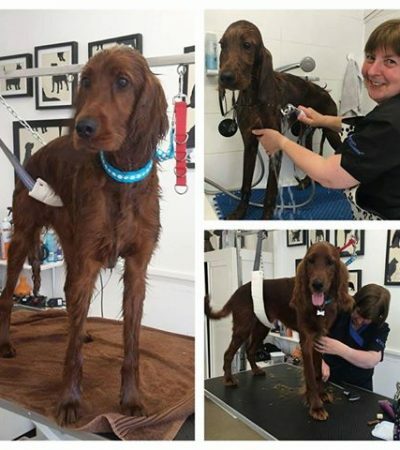 Your dogs welfare always remains our top priority. 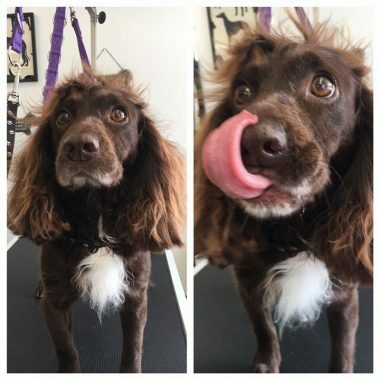 You can be assured your dog will get plenty of love and cuddles, plus (with your permission) the odd treat. 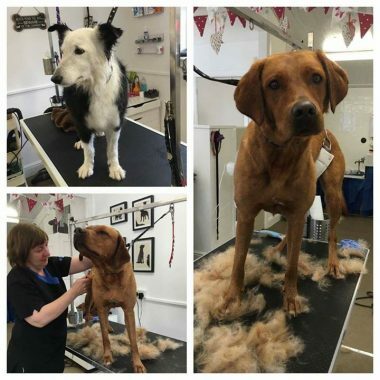 Put simply, we treat your dogs just like our own. 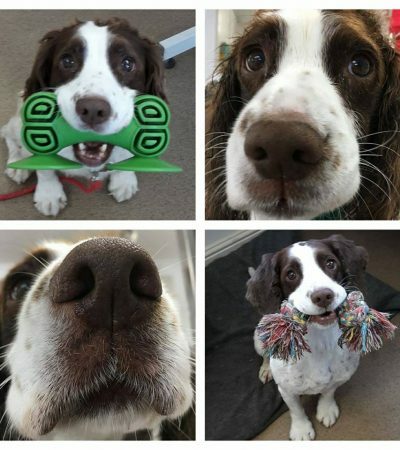 Your Dogs & Their Care. 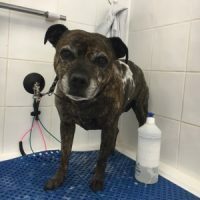 Read a little bit about the staff at Shaggyz, the people that take both pride and enjoyment from the priveledge of working with many different dogs throughout the day. 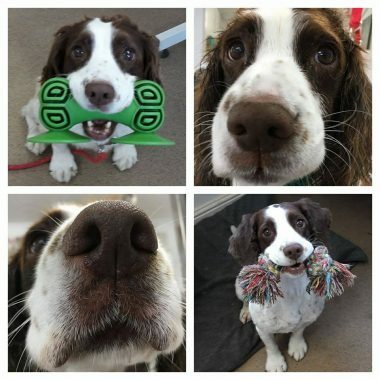 Here you will find our most recent Facebook posts. 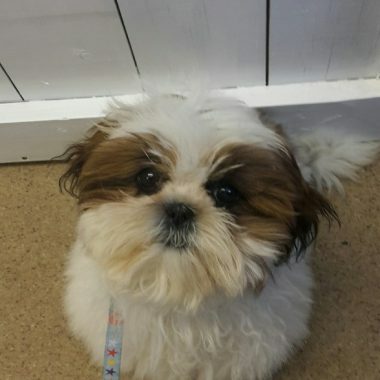 (without going to Facebook directly) You can still like and share the content. 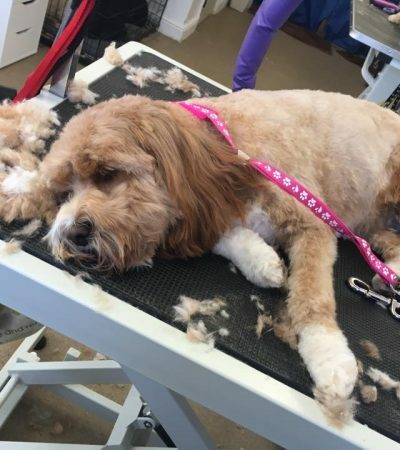 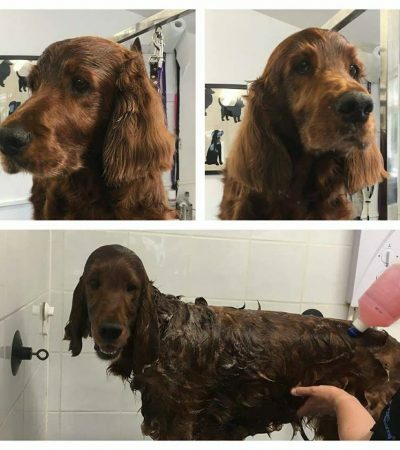 A full groom at Shaggyz includes a pre-groom health check of your dog, Brushing out dead coat & a warm bath using quality shampoo that is specific to the coat type and skin condition of your dog. 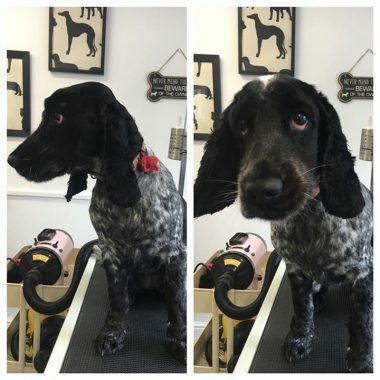 Followed by a dry then your dog will be clipped or styled to your request. 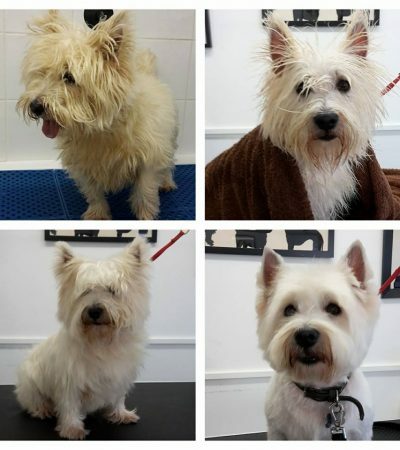 We offer hand stripping services for owners who want their terrier type breeds to retain the true look of the breed. 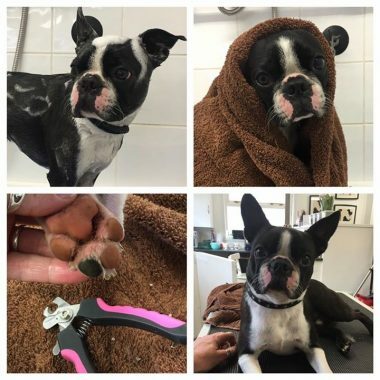 Hand stripping is suggested approximately every 4-6 months. 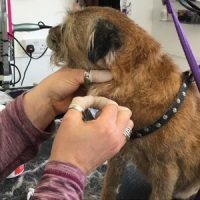 This service is also open to other breeds of dogs. 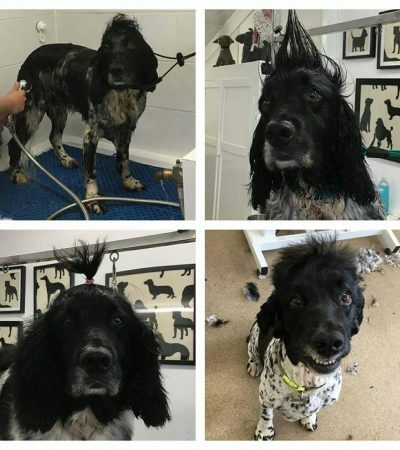 Please call us to discuss. 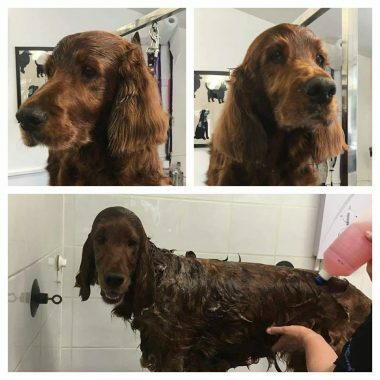 A warm bath using quality shampoo that is specific to the coat type and skin condition of your dog, followed by a blow dry and brush. 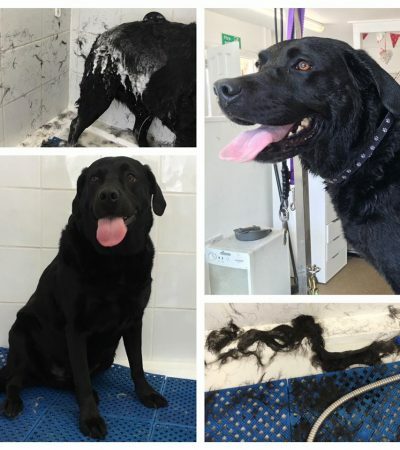 This is ideal if you just want a freshen up for your dog. 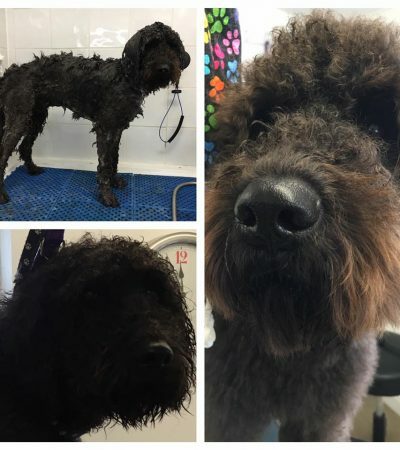 Especially after rolling in fox poo!! 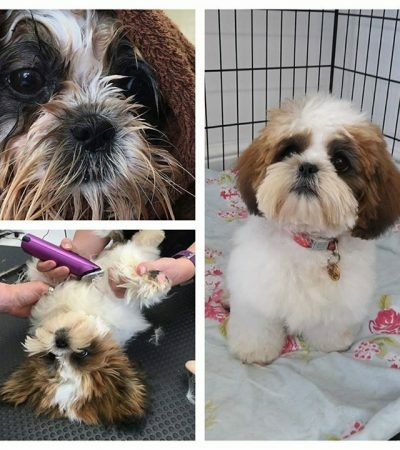 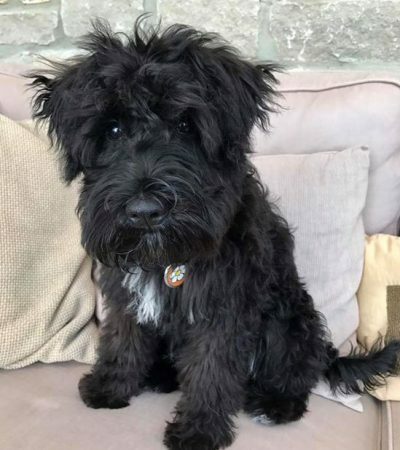 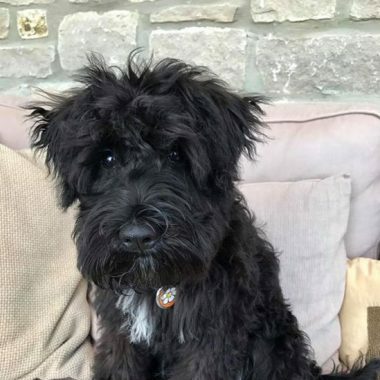 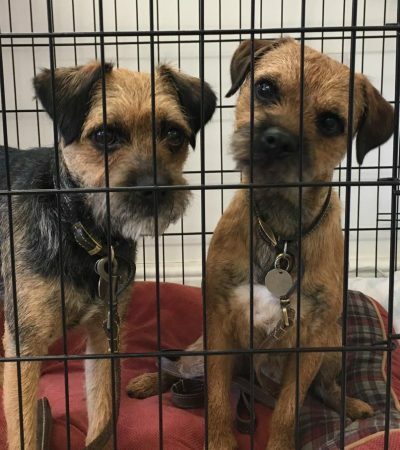 We encourage & offer a programme that gently introduces your puppy to the sights, sounds, smells & staff of the salon in a very relaxed, fun enviroment. 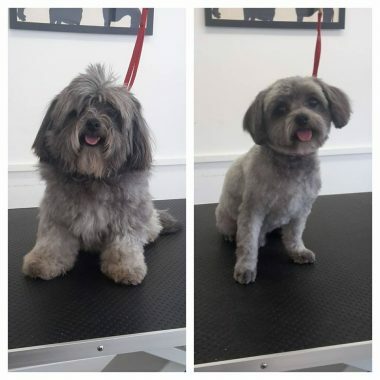 This aproach results in much more positive and enjoyable grooming experiences in the future. 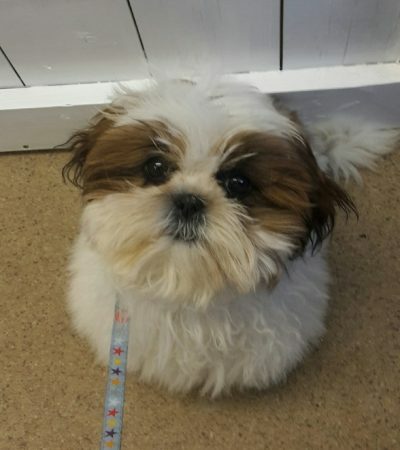 Your puppy's first visit is completey free. 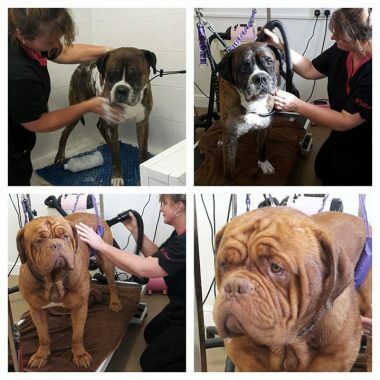 We will do everything we can to ensure each dog has a stress free and enjoyable time with us. 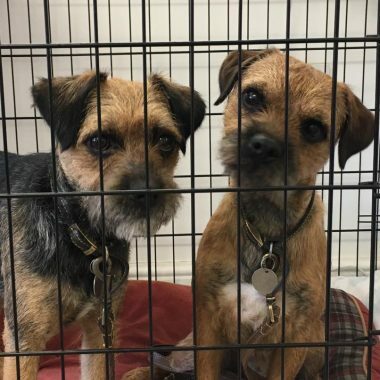 We understand that each dog is individual.
" 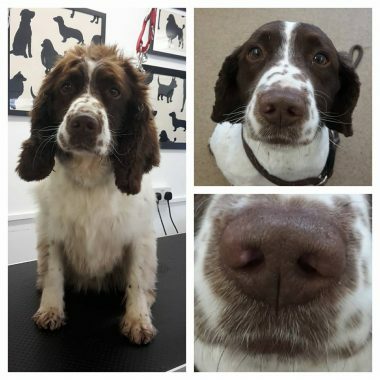 Just back from the groomers and Rocco looks and smells amazing! 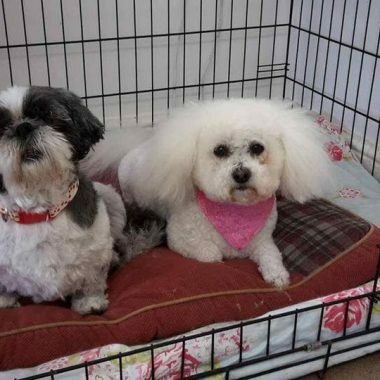 Colette and Rachel are super friendly and fantastic with making the dogs feel relaxed. 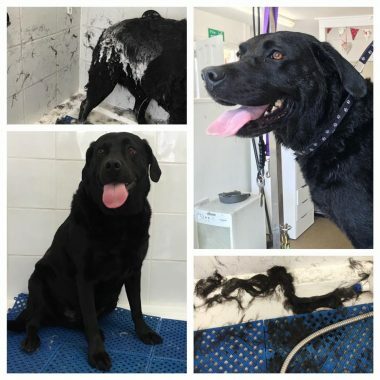 It's a clean and friendly environment for humans and dogs! 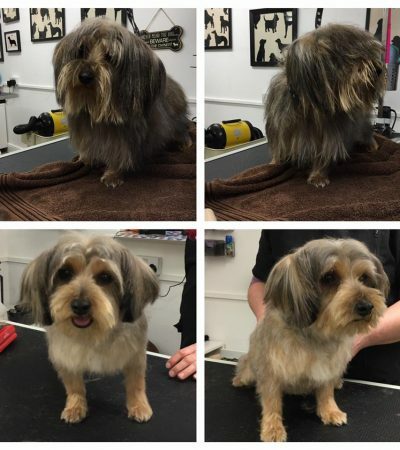 Thank you so much highly recommend shaggyz! " 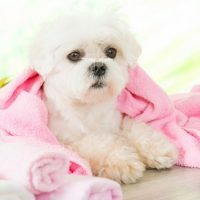 " What a wonderful place!! 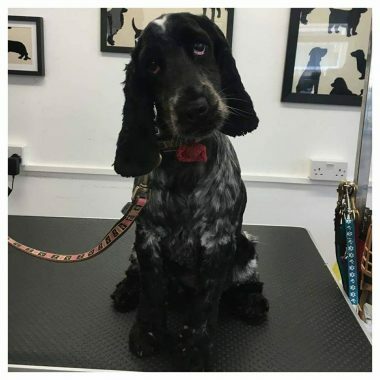 So kind, so caring and a lovely, happy atmosphere. 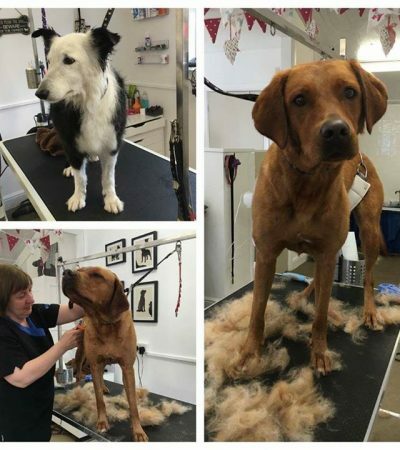 I have never seen such happy, relaxed dogs. 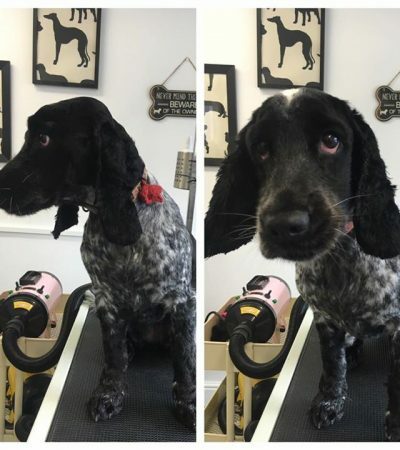 Thank you for a lovely morning and we can't wait to come back "
" Scout's a really nervous hound but Rachel put her at ease and she was wagging her tail as her coat was being dried with the "blaster"! 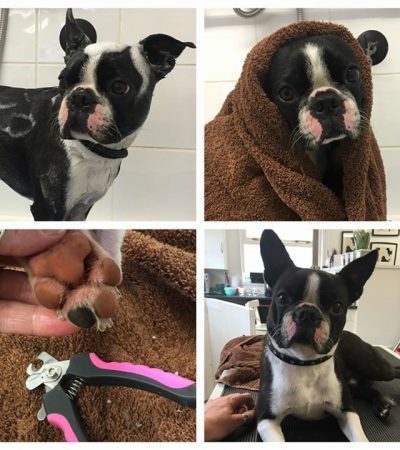 Rachel and Collette took time to talk through various grooming tools with me and I even got a follow up message when Collette remembered the perfect tool. 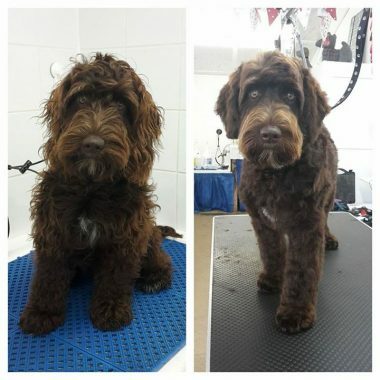 Can't recommend highly enough!! " 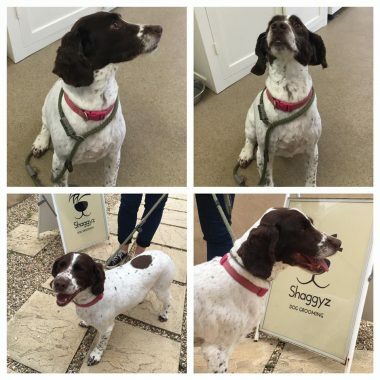 " Today was Murphy's first day at Shaggyz. 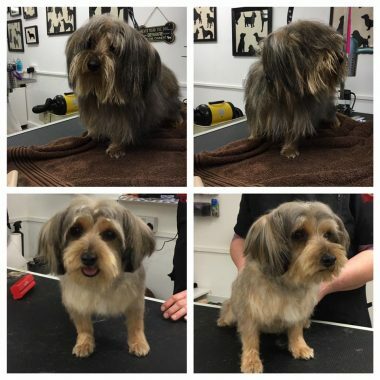 He was given so much kindness, attention and treats - plus a terrific make-over! 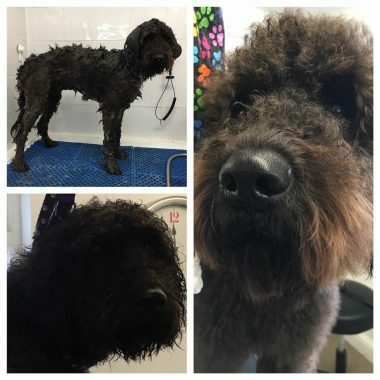 It didn't take long to dirty himself up afterwards and get back to being one of the boys again! 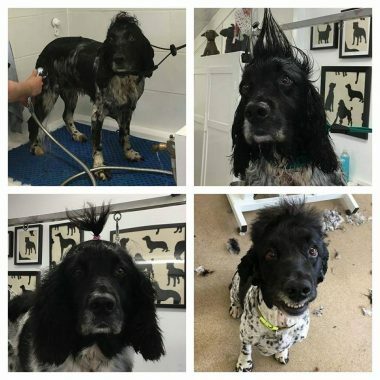 Grrrrrr! 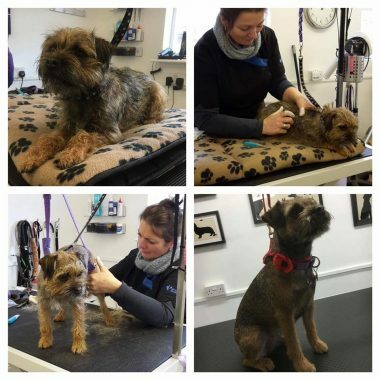 Thanks so much Rachel and Colette and look forward to seeing you next month. " 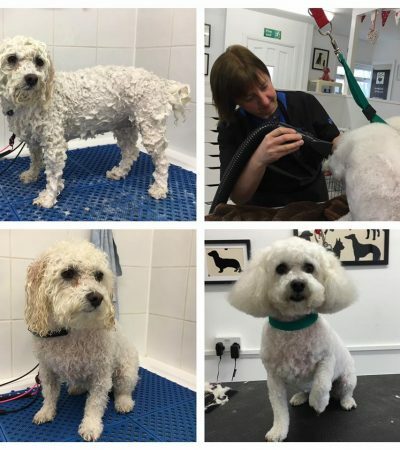 " Fizz has been going there since it opened every 6wks , she is a Bichon Frise . 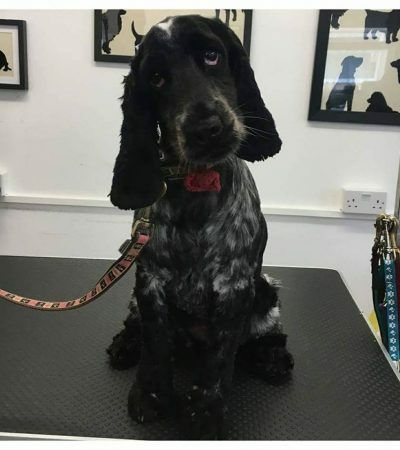 Very kind and caring , would not use anywhere else "
" Cleo always looks so smart when she has been to see Rachel, I would recommend Shaggyz to anyone. 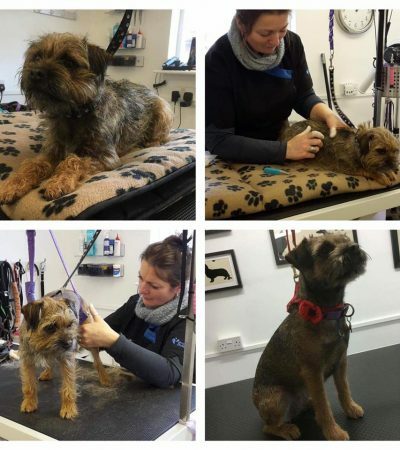 I like the fact there is no rush, every dog is treated with love and care, not many groomers offer such an atmosphere. " 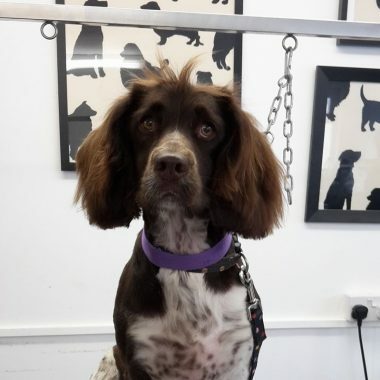 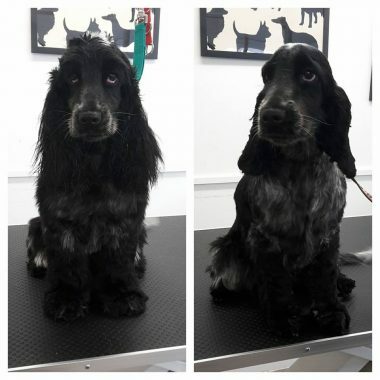 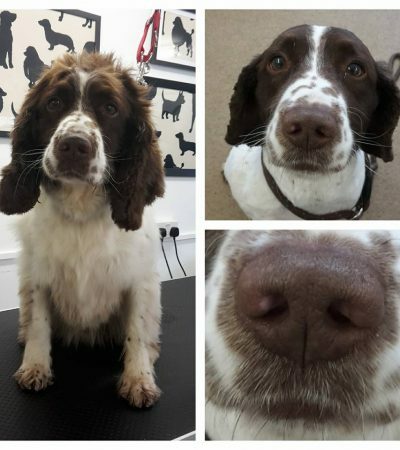 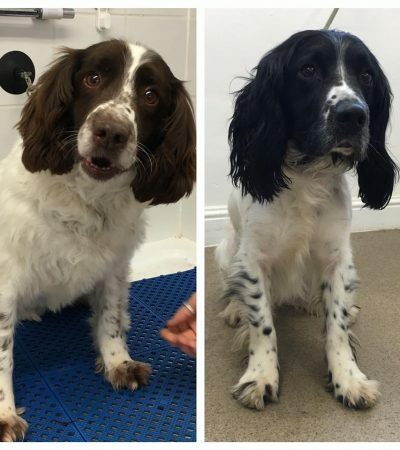 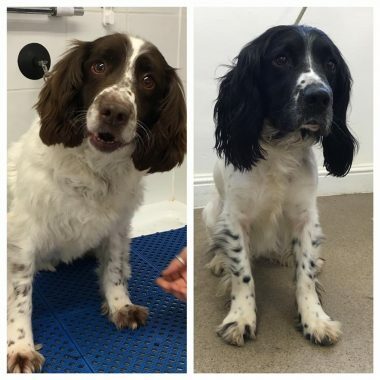 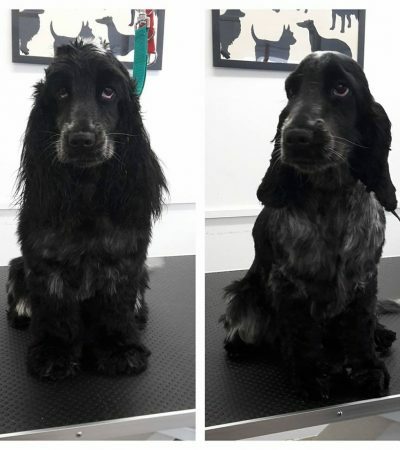 " Lovely relaxed atmosphere 2 very happy springer spaniels "
" Noodle Doodle was so well looked after .I was very pleased with his grooming and will soon be returning. 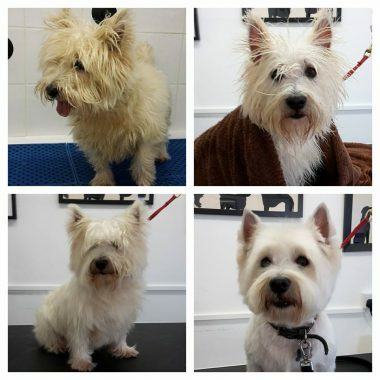 Lovely Thank you Rachael. " 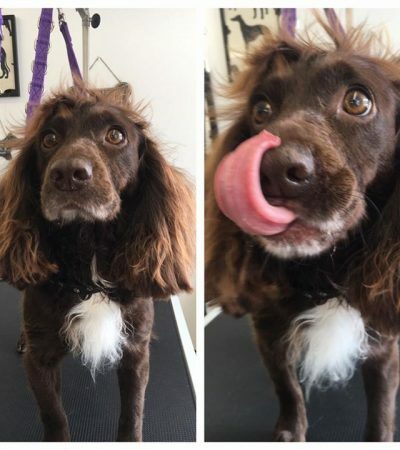 " Fantastic. 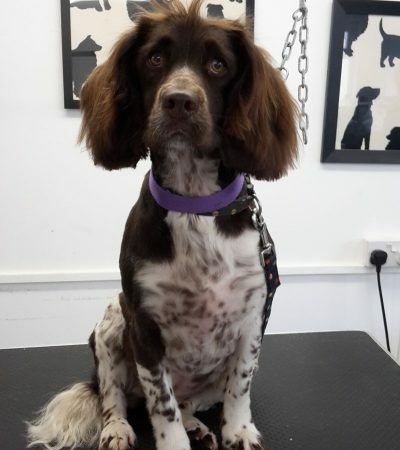 Our Pebbles looks beautiful. 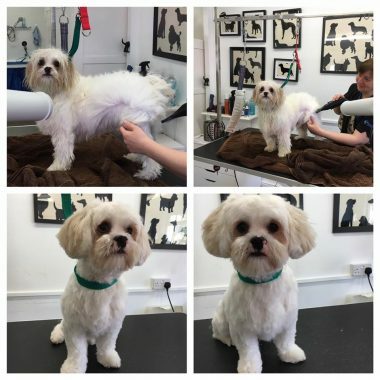 Thank you Shaggyz Dog Grooming "
" Ollie is a very nervous dog. 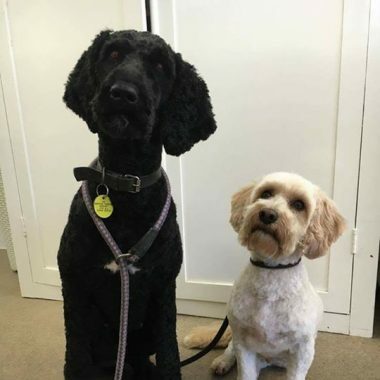 Rachel gave him time to settle down and made me feel welcome and at ease. 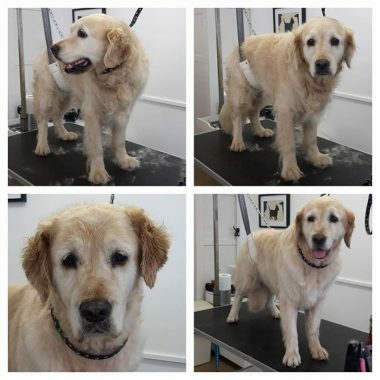 2 hrs later I collected him, he was happy and relaxed and a well groomed dog. "